Our Boston medical malpractice lawyers know that malpractice is far too common and that these claims arise as a result of many different types of medical mistakes. Recently, a comprehensive study by Irish researchers took a close look at the medical errors that primary care physicians make which lead to medical malpractice cases. According to CBS News, Irish researchers reviewed more than 7,150 journal papers on medical malpractice claims in order to determine the top causes of malpractice cases. The goal was specifically to find the causes of malpractice claims for primary care physicians, since these physicians are often the ones responsible for identifying when symptoms present medical problems that require referral to a specialist. The researchers reviewed 34 different journal articles and analyzed the underlying causes of primary care malpractice cases as described by the journals. These journal articles included fifteen articles that were based in the United States, nine studies that were based in Britain, seven studies by Australian researchers, two papers by French researchers and one paper by Canadian researches. Missed diagnosis cases, which accounted for between 26 percent and 63 percent of the total medical malpractice claims, depending upon the study that was reviewed. Death resulted in between 15 and 48 percent of misdiagnosis cases and common conditions that were misdiagnosed included cancer, heart attacks, appendicitis, ectopic pregnancy and bone fractures. For kids, the most common misdiagnoses included both cancers and meningitis. Drug errors accounted for between six percent and 20 percent of claims that the researchers identified, depending upon the study. Drug errors included problems with steroid preparations, anticoagulants, antibiotics and antipsychotics. The study also revealed that around one-third of the cases in the United States resulted in compensation for the patients. 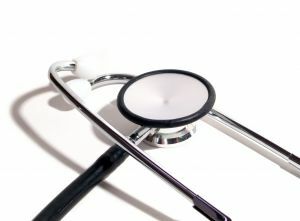 In the United Kingdom, the study results showed that closer to half of all claims resulted in compensation for patients. The outcome of the study caused researchers to point out that doctors can sometimes practice defensive medicine, which means increasing diagnostic testing and prescribing unnecessary medication. While this is a problem with some physicians, the fact is that it should not be an issue if doctors do their jobs. Physicians are expected to perform their duties with reasonable care. A doctor can be liable for medical malpractice for drug errors or for misdiagnosis only if a reasonably competent physician wouldn’t have made the mistakes that the doctor made. As such, a doctor could avoid a claim for malpractice by simply listening to the symptoms that a patient exhibits and making sure to order the proper testing and treatment. When a doctor makes a drug error or fails to diagnose a medical condition, this error can have serious consequences. The patient should be able to make a malpractice claim and, with the help of an experienced attorney, should be able to recover compensation for losses. If you or a loved one was injured by medical malpractice, call the Law Offices of Jeffrey S. Glassman for a free and confidential appointment — 1-888-367-2900.